The Beatnuts @ Chip Shop BXTN, London. 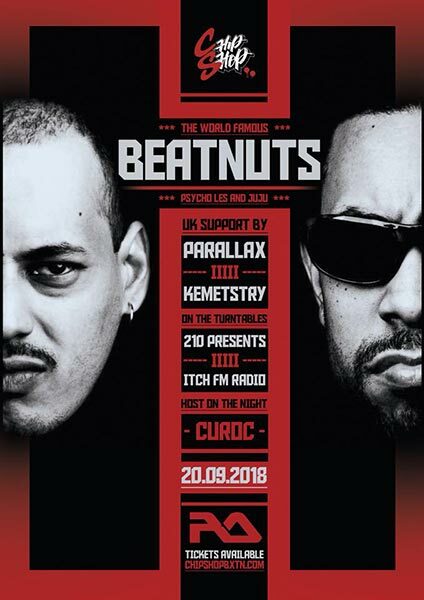 Beatnuts + Parallax & Kemetstry + Big Ted + 210. Hosted by Curoc.